The Corona regulated-LED headlamp floods your entire field of vision with an even distribution of light. Designed to reduce eye fatigue, the Corona’s wide beam eliminates the need for your eyes to adjust quickly from very bright to dark areas, as they do with standard, narrow beam lights. 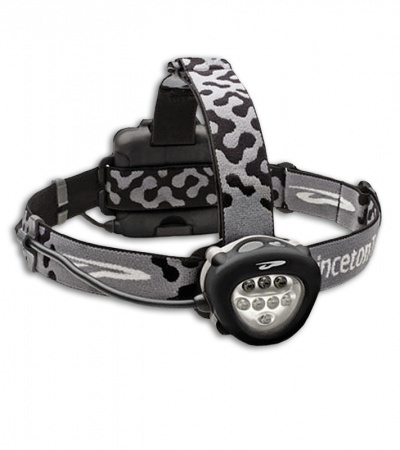 Excellent peripheral lighting simulates normal daylight conditions and allows you to take advantage of your entire field of vision without moving your head. Proprietary heatsink technology and 8 shock-resistant, wide-angle Ultrabright LEDs are the foundation of the Corona. You can switch between 8, 5, 3 or 1 LED output, making it a great hands-free lighting choice to satisfy all of your outdoor, work and personal lighting needs.